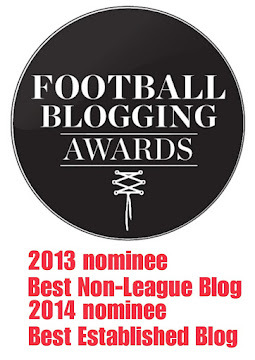 The Cold End: CAN ANY TEAM CATCH LONDON COLNEY AT THE TOP OF THE SSMFL PREMIER DIVISION? CAN ANY TEAM CATCH LONDON COLNEY AT THE TOP OF THE SSMFL PREMIER DIVISION? London Colney's 2-3 win at Wembley yesterday has put them an amazing 14 points clear of second placed Berkhamsted in the Spartan South Midlands League Premier Division after only sixteen games played. Everyone associated with Colney will know there is still a very long way to go until the end of the season. Still best placed to catch them are Hertford Town (6th) who have dropped only seven points compared to the five dropped by the table toppers. Archie McLelland has been in great for London Colney scoring 21 goals in 19(4) appearances. Adam Fisher's Welwyn Garden City side have also hit some good form after two defeats in a row against London Colney and Leverstock Green. The Citizens have scored sixteen goals in their last three games and were one of the pre-season favourites for the title so they will be happy with their three wins in row of late. Berkhamsted would be in a much better position if they hadn't lost three of their last six games - two came at home to Oxhey Jets (12th) and Colney Heath (15th) which they would of seen as winnable games. Had they won both of these games their points per game total would of been 2.19 compared to their current average of 1.81. How quickly things could change can be shown if Welwyn GC win their next two games it would move them up to 2.12 PPG and if London Colney lost their next two games it would move then down to 2.39 PPG so there is all to play for. 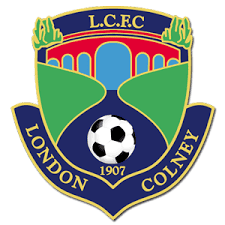 London Colney's only dropped points so far came in a 2-1 defeat at Hoddesdon Town and a 0-0 draw at home to Hadley. Many of the teams are involved in Buildbase FA Vase and League Cup action over the next week or so but then it's back to all important league action. One of the games of the season is a little over a month away when on Tuesday 13th December London Colney visit Hertford Town. Finally, mention must go out to St Margaretsbury who won their first league game at the fourteenth time of asking yesterday. They beat fellow struggler's London Tigers 6-0 in front of 33 people at The Recreation Ground. The Tigers have now lost six of their last seven games with their only point picked up in a 2-2 draw against another team towards the bottom of the table in FC Broxbourne Borough. 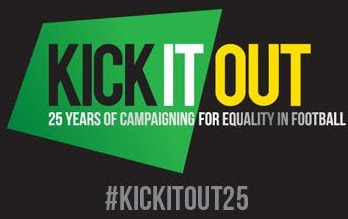 An incredible statistic is that 17th and 18th placed Stotfold and Hadley have only dropped 3 more points than current 3rd placed Cockfosters - If we look at it on a 'pts dropped per game' average it words out a little bit different at 1.29 for Cockfosters and 2.08 for Stotfold and Hadley. Leighton Town (relegated from the Evo Stik Southern League Central Division last season) started with one draw and five defeats in their first six games but have improved of late with three wins in their last six games all against albiet against fellow struggler's FC Broxbourne Borough, Stotfold and St Margaretsbury. 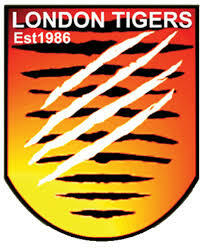 BOTTOM OF THE TABLE - LONDON TIGERS STRUGGLING THIS SEASON. 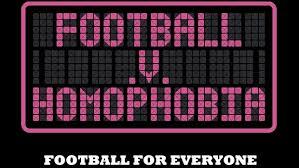 THEY TRAVEL TO HODDESDON TOWN ON TUESDAY EVENING. THE LILLYWHITES ARE CURRENTLY IN NINTH POSITION.